Multiple witnesses claim Shas paid them up to 300 NIS for votes; one activist complicit in the bribery confirms; Shas denies involvement. The saga of widespread elections fraud during the 2015 20th Knesset elections continues on Monday - this time involving Shas. Shas has been accused of actively invalidating votes for competing party Yachad-Ha'am Itanu this month, after the elections results revealed that the party barely missed the Knesset threshold and photo evidence emerged of tiny holes punched into Yachad votes. However, Shas may have taken election fraud to a whole new level, according to one report - as several witnesses now claim that the party paid them for their votes. Three separate voters in two different cities - one in central Israel, one in the North - told Walla! News Monday that they were offered money to vote Shas; in at least one case, they were offered the bribe just outside the polling station. In addition, a contractor tasked with paying voters for their allegiance revealed to the agency on condition of anonymity that he paid as many as 20-30 people on the party's behalf. "We had a budget of several hundred [shekels]," the contractor revealed. "We [paid] roughly 20, 30 people [. . .] 50 shekels [$12.61 - ed.]." "There were some who insisted on 200 [shekels; about $50]," he added. "People who were planning on voting for [Kulanu chairman Moshe] Kahlon we paid more." At the end of the interview, the Shas activist asked not to publish the information, "because this thing with the money is criminal." Another voter told the daily that he received 50 shekel not to vote for Yachad; his friend and his friend's wife received 100 shekel each, he added, because they negotiated. Yet another voter stated that he received 300 shekels for his vote. The payment of voters for their votes, or bribing citizens to vote for a party with promises of money or other benefits, is considered a criminal offense under Israeli law. 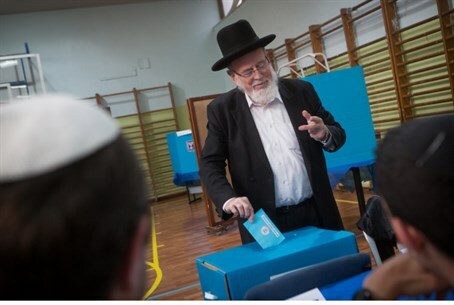 Shas denied involvement with voter fraud. "This is part of a campaign of slander against Shas," the party claimed. "These things are diametrically opposed to the ideology of the movement, and we are confident that these are inventions and fictions." At least one arrest was made on elections day earlier this month, when Shas activists apparently stole the Yachad-Ha'am Itanu ballots from more than one polling station. Yachad has claimed repeatedly that their elections loss is due to a multi-faceted campaign against them by Shas.